Our goal for the Imaging Department has always been to provide you and your physician with the most efficient service and accurate imaging technology available. With the combination of our team of highly educated radiologists, technologists along with the first, and only, MRI Caring Suite in South Dakota, you can rest assured that you will get the most accurate and comfortable scans in the region Black Hills Imaging is also pleased to offer ultrasound services. Our scanners can be compared to the most current high-definition TVs, meaning they produce amazingly clear and detailed images of the inside of your body and deliver the most comprehensive scans in the industry, thus allowing your doctor to see small abnormalities and more information about your condition that other scanners may simply miss. 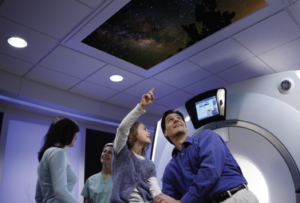 Our 1.5T MRI Caring Suite offers more room and allows for a completely personalized experience with custom lighting, audio and HD video to help you relax. Our state-of-the-art equipment is only part of the services we provide. We believe that as our guest, your needs are paramount so we make every effort to keep appointments on schedule and get reports back to your doctor as requested. All our radiologists are board certified, fellowship trained and are nationally renowned leaders in their specialty areas. Together our technologists have over 60 years of experience. 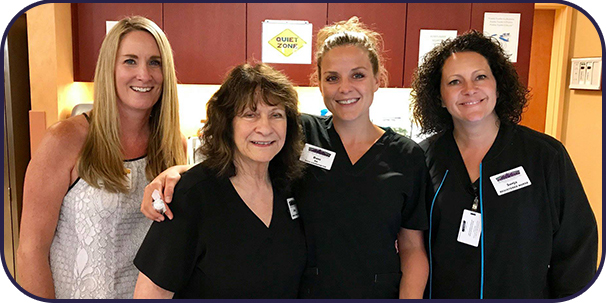 All our technologists have advanced certification with the American Registry of Radiologic Technologists—making us one of the few Imaging Centers in the country with such qualified techs. If you have a patient you would like to refer for services, Please download and fill out this form and fax to us.